On exhibit at Geri Reilly Real Estate is Vermont artist, Natasha Bogar's Archival Giclee Prints on canvas. These limited edition prints are embellished by the artist with acrylic paints. The collection includes beautiful paintings of Vermont's Camels Hump, Burlington Bay, Stowe Mountain Lodge and ski trails at Stowe Mountain. It also includes a lovely portrayal of Ames Pond at Deer Isle in Maine as well as several other landscape pieces. 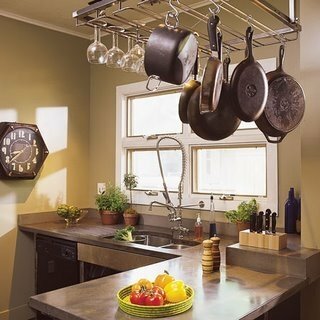 Here are some great tips on modernizing your kitchen, whether you're selling your home or not! The trend today is an open floor plan with a cozy, connected kitchen. Kitchens and living rooms are combining to create a new look for kitchens these days. The most popular room in the house isn't just for cooking anymore! Today it's used as a gathering place for families, a central work space, an open area to pursue craft projects or a leisure area to entertain guests.